When all the lies that have been hidden come to light, nothing will be the same. From the time she came to live with her uncle Ron after the tragic deaths of her parents when she was a young girl, Carrie Greer never had reason to doubt she was wanted. Now a dispatcher with the county, she’s a grown woman building a life of her own. But after a trip to Florida, her uncle’s attitude changes… and not for the better. While struggling to come to terms with this shift in their relationship and all the collateral damage it causes, another tragedy strikes. Ron Smith is murdered. And the only person with an obvious reason to want him dead… is Carrie. Robbie Bailey is finally free to pursue his lifelong dream of becoming a teacher. But instead of attending classes, he ends up having to return to Leroy and to Carrie, the girl he’s been in love with since he was a teenager. He finds himself in the position of having to convince her of the depth of his feelings while protecting her from a vengeful killer bent on keeping long-buried secrets hidden. And he isn’t sure he can succeed at either task. “Growing up, I wanted to be everything – astronaut, police officer, doctor, teacher, reporter, psychologist – there was no clear choice for me. I wanted to do it all. 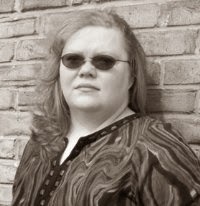 Becoming a writer has allowed me to do just that, because I can live vicariously through my characters.” A resident of eastern Kentucky, T.L. is hard at work on her next book, when she isn’t chasing after her three cat-children with her husband. You can follow her on facebook, twitter, on her blog, and website. 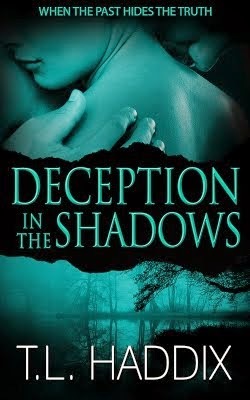 You can buy Deception in the Shadows amazon. Deception in the Shadows is an excellent read. From the very beginning you are hooked. The prologue leaves so many questions, and it's not until halfway through answers so desperately needed to be found finally surface. Young Carrie has so many unanswered questions... After a seemingly random and unprovoked falling out from the only person she knows as family, her dear uncle is found dead by her, and soon police find it wasn't of natural causes. Who would want to kill him, and why? Carrie is left wanting answers to these questions, but soon after police beginning investigating she finds out there's more to her past than she could have ever expected. I really enjoyed reading this novel, and will be looking into the other books related to T.L's series.